Vanhankaupunginlahti includes several nature reserves. The largest of these, named Viikki-Vanhankaupunginlahti, consists of several different nature reserves established over the decades. The first of these was established in 1959 and included the shores of the Viikki research farm and the water areas around Hakalanniemi. The nature reserve was expanded in 1962 to include the extensive reed beds in Säynäslahti and the open water area south of it all the way to Fastholma, and in 1987 to include a small area at the western edge of the reed beds near the Lammassaari duckboards. Saunalahti was added to the nature reserve in 2005. The most recently established nature reserves are the common alder forest of Pornaistenniemi and the forest of Mölylä, which were established on 10 May 2016. The new nature reserves to be established in Helsinki are presented in the City’s nature conservation programme for 2015–2024 (in Finnish). 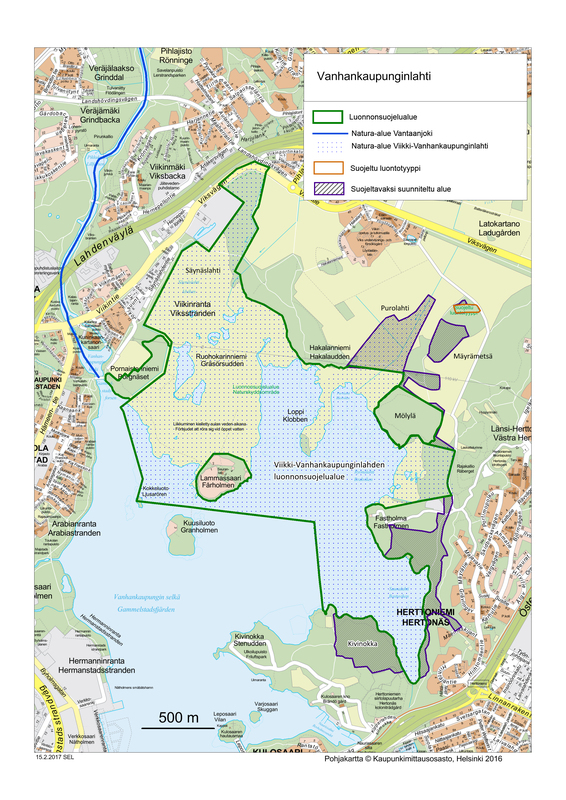 The programme proposes the establishment of several new nature reserves around Vanhankaupunginlahti, such as Fastholma, Mäyrämetsä, the Purolahti meadow, Hallainvuori and Kivinokka, which is already in the process of being declared a nature reserve. 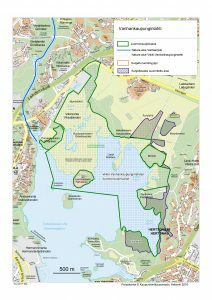 If all of the proposed areas are successfully established as nature reserves, Vanhankaupunginlahti will come to form a vast and diverse area with a wide variety of forests and wetlands. What is a nature reserve?? In Finland, the establishment of nature reserves is based on the Nature Conservation Act. The City of Helsinki has prepared nature conservation programmes for its areas, the most recent of which is ”Helsingin luonnonsuojeluohjelma 2015–2024 ja metsäverkostoselvitys” (‘Helsinki’s nature conservation plan 2015–2024 and forest network survey’). The nature conservation programme includes the areas that have been found valuable enough to be declared nature reserves based on nature and other surveys. When an individual nature reserve is being established, the information related to the area is often still being updated and supplemented. Once surveys have been completed, a funding proposal is circulated for comments among various cooperation parties, such as citizen organisations and the authorities. Once the views of all parties have been heard, a final funding proposal is drafted. The nature reserve is then established by the decision of a state authority, meaning an ELY Centre. The establishment process typically takes a total of 2–3 years. There is also a Natura 2000 site in Vanhankaupunginlahti named Vanhankaupunginlahden lintuvesi (‘Vanhankaupunginlahti bird wetland’), which was established in 2005. The borders of the Natura 2000 site are nearly the same as those of the Viikki-Vanhankaupunginlahti nature reserve. The main difference is that the Natura 2000 site also includes the Purolahti meadow, which has not yet been established as a nature reserve. 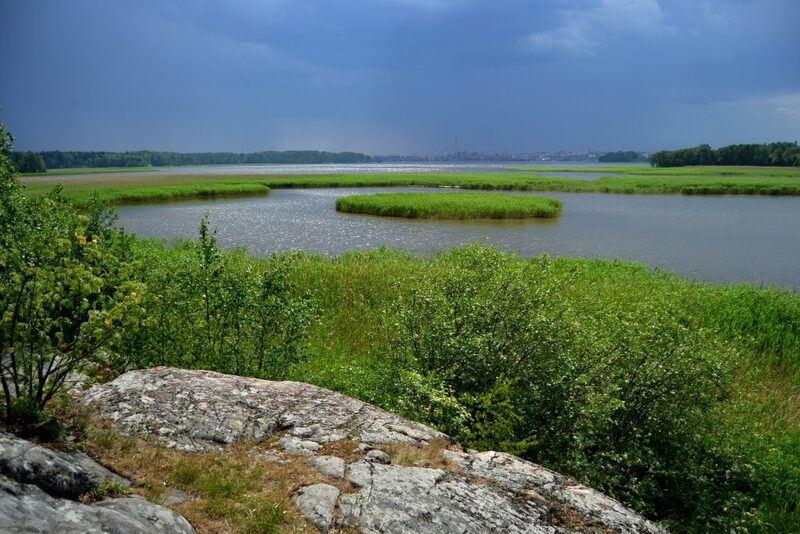 Vanhankaupunginlahti was protected under Natura 2000 due to the area’s rare or threatened bird species and habitats, which are listed under the EU Birds Directive and the Habitats Directive. What is a Natura 2000 site? One of the measures by which the European Union strives to preserve natural biodiversity is the establishment of a network of protected areas in member states. The sites included in this network are called Natura 2000 sites and serve as one of the EU’s most important means of preserving natural biodiversity. The aim of Natura 2000 sites is to preserve the habitats, flora and fauna protected under the Habitats Directive and the bird species protected under the Birds Directive. The Habitats Directive and the Birds Directive are the EU’s most important nature conservation regulations. The Habitats Directive requires member states to protect naturally occurring habitats with low or reduced distribution in the area of the European Community. In addition to this, the Directive is intended to protect species that are threatened, at risk of becoming threatened and some endemic species that are not found elsewhere. The aim of the Bird Directive is to protect all naturally occurring bird species and their habitats in the area of the European Community. Vanhankaupunginlahti and Laajalahti in Espoo form a wetland that has been chosen as one of Finland’s Ramsar sites. The Ramsar Convention is the oldest intergovernmental treaty concerning nature protection and the sustainable use of natural resources. It was signed in the Iranian city of Ramsar in 1971 and came into force in 1975. According to the Convention, member states commit to protecting the wetlands of international importance and the species therein located in their areas. The wetlands included in the Convention are chosen based on their uniqueness and the occurrence of threatened species. Information on Ramsar sites (in Finnish). Vanhankaupunginlahti and Laajalahti in Espoo also form an IBA, meaning an Important Bird and Biodiversity Area. IBA is bird conservation organisation BirdLife International’s project for identifying and conserving important bird habitats. IBAs form a global network that provides birds with safe places to nest, rest during migration and spend their winters. Finland has a total of 100 internationally notable IBAs. In addition to being significant for the conservation birds, IBAs are also important for preserving other natural biodiversity. The IBA in Vanhakaupunginlahti includes the Natura 2000 site, the fields of the Viikki research farm and Arabianranta. The open field areas of the research farm expand the lands available to birds and increase the biodiversity of the area, whereas Arabianranta used to be a notable wetland area. Vanhankaupunginlahti and Laajalahti also together form an internationally important FINIBA (Finnish Important Bird Area), in addition to which they are both regionally important MAALI areas.